Three sparkly gold filled beads are strung on delicate sterling silver chain. Sweet and simple. 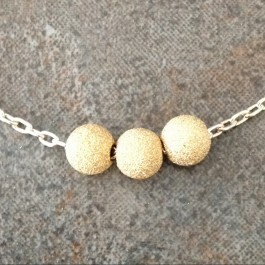 Silver and gold minimalist necklace. 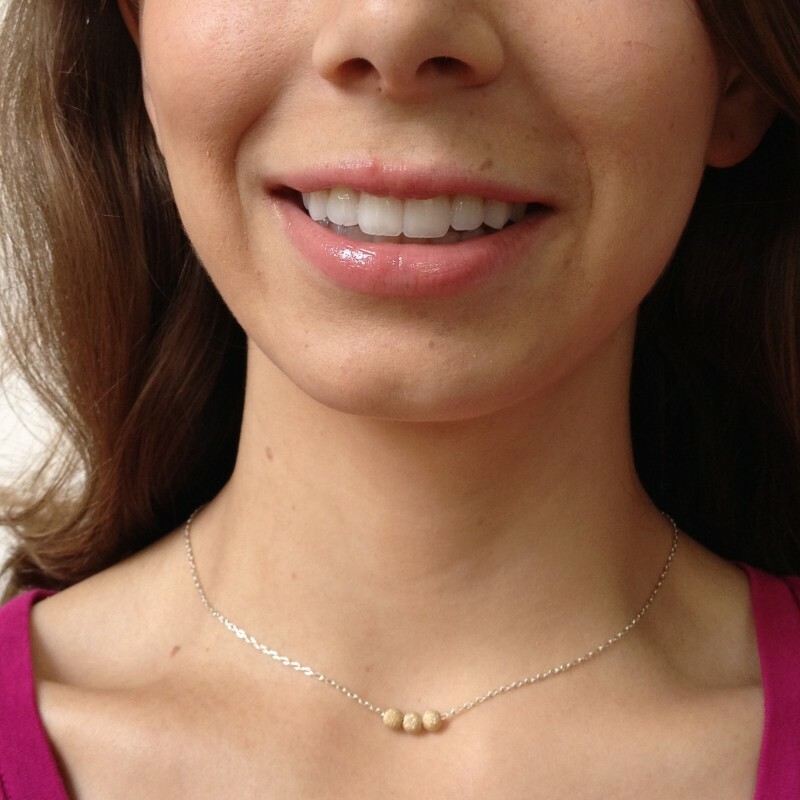 Three small gold filled sand blasted beads are strung on a delicate sterling silver necklace. Handcrafted clasp. 16"-18" long.